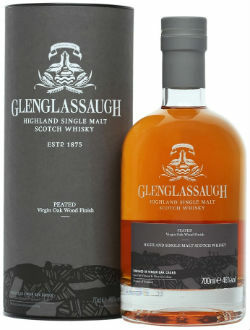 After new releases at Glendronach and Benriach, it seems only right that Glenglassaugh, the final one of the triplets in the Brown-Forman family, releases something new. Or four somethings new, actually. 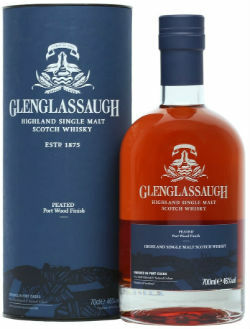 The Glenglassaugh Wood Finishes series is a limited release collection consisting of a Pedro Ximinez Sherry Wood Finish, Port Wood Finish, Peated Virgin Oak Finish and Peated Port Wood Finish. That’s a lot of info, so let’s break it down. All the whiskies are initially matured in American ex-bourbon casks before being finished in something different. There are two unpeated expressions, one finished in Pedro Ximinez sherry casks and the other finished in port casks. 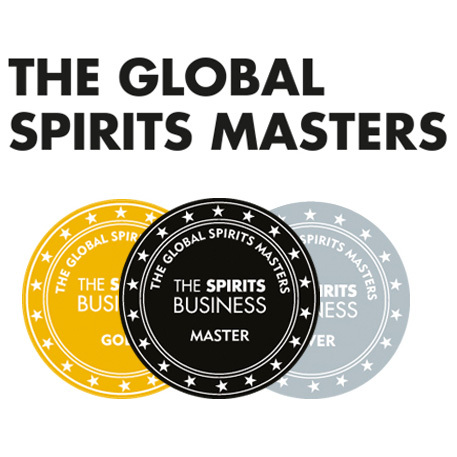 The other two are peated whiskies, which have been finished in either port casks or virgin oak for two years. All are non-age statement and non-chill filtered and can be yours for under £60. Nose: Big, classic, sherry notes – rum soaked raisins, molasses, burnt cocoa, very sticky dates, liquorice and clove. There’s a touch of brine to clean things up though. Palate: Clove again, with cinnamon, Morello cherries, tar, new leather, pencil, plum jam and black forest gateaux. Maybe some sweet sundried tomatoes too? Finish: Red berries and cherries with a faint hint of oak. The PX influence really dominates here. Nose: Peaches and cream, Campino sweets, strawberry parfait, raspberries, papaya and lychee. Then there’s praline, chocolate truffles and sawdust. Palate: Big and juicy, quite mouthfilling – orange blossom peach, blackberries, juicy sultanas, gooseberries, some honey too. The oak is well integrated and rounds out with a sweet earthiness. Finish: Lingering dried fruit sweetness, aromatic oak and a touch of tobacco leaf. Nose: The smoke is there but it’s very gentle – singed greenery (heather, bracken, tomato vines) and some quite tarty fruits; pink grapefruit, kiwi, lime, and pineapple. There’s something floral too – faint scented fabric softener? Palate: More gentle than expected, again. Caramel, butterscotch, lemon, scorched grass, chewy oak, charred twigs and some dry woodsmoke. Finish: A drying smokiness and dark chocolate with sweet oak tannins. Nose: Some new plastic and rubber initially, then honey glazed ribs, fresh cloves, plums, prunes, smoked apricots, cocoa beans and wafts of barbeque smoke. Palate: A nice smoky hit to start, but gentle though. Then a seafood barbeque, some charred steak and smoked limes. A little ashy and briney too. There blackcurrants and cherries underneath. Finish: Lingering woodsmoke and juicy currants. 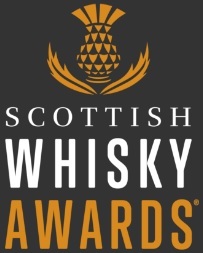 Overall: Four very different and (almost) equally enjoyable whiskies. The PX finish is a little too PX-y for my liking. 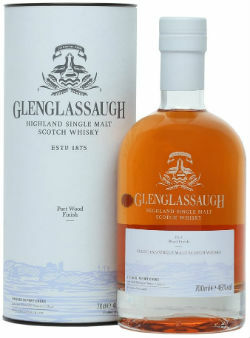 I like to see the cask influence but it really dominates the spirit, particularly on the palate. The port wood finish is probably my favourite, with a good balance of fruit and spice. Then we come to the peated pair – I have to be honest, I was expecting a lot more intensity of flavour from the virgin oak finish, but maybe that’s for the best; virgin oak tends to kill spirit character a bit too much in my experience. The peated port wood brings some lovely barbeque notes to the party and was a lovely whisky to finish up on. Having said that, if I was looking for a peated port wood matured whisky, I’d prefer to spend almost exactly the same amount of money on Glendronach’s newest release. 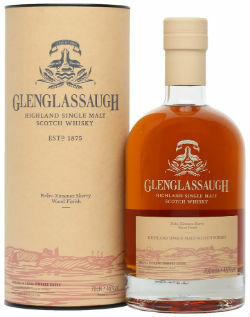 All in all, 4 very solid whiskies from Glenglassaugh. I wonder what could be achieved if these whiskies were left to mature for a little while longer before undergoing their finishing regime. Slightly older whisky may give rise to some really, really tasty stuff. This entry was posted	on Thursday, January 11th, 2018 at 9:12 am	and is filed under Reviews. You can follow any responses to this entry through the RSS 2.0 feed. You can leave a response, or trackback from your own site.